All the softwares referenced here are already installed. If you want to run it on ttyUSB0 (and I propose that you do) remove all USB devices and plug the CP2102 cable in first. The CP2102 cable will automatically move to /dev/ttyUSB0. To run it on other interfaces, modify the firmware upload string appropriately. You can now upload firmware on the phone and observe output. Then, with the phone powered off, press the power button once briefly and wait for the firmware to load onto the phone. RSSI stands for Received Strength Signal Indicator and is can be used to identify the strongest ARFCN in the area. This is important as the BTS needs to sync with the strongest legitimate BTS in order to receive configuration information. Once done exploring the RSSI app, there are plenty more applications that you can run which are beyond the scope of this document. However, feel free to explore them to further your understanding on the OsmocomBB platform. After installing everything, we can now run the full system. Plug in the calypso phone with the CP2102 cable, and ensure that it is on ttyUSB0 before proceeding. Note: Charge the phone to its fullest as the power cable interferes with transmission. Then press the power button on the phone briefly to load the application. If you had set your MCC and MNC to that of a legitimate network operator, the 2G phones in the area will begin connecting to your fake base station. 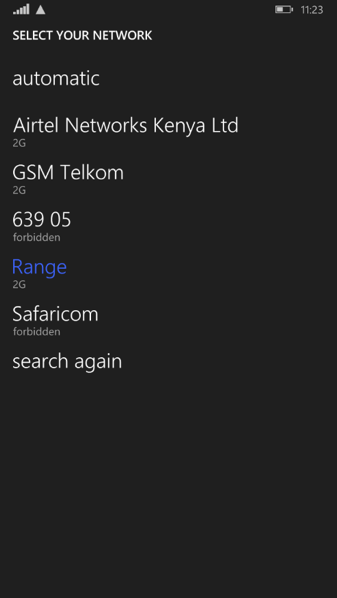 If you left it as the default then you will see a name either “Test” or “Range” or "Safaricom [this is not legal by the way assuming you spoofed the name too]" when perform a manual search on your phone. 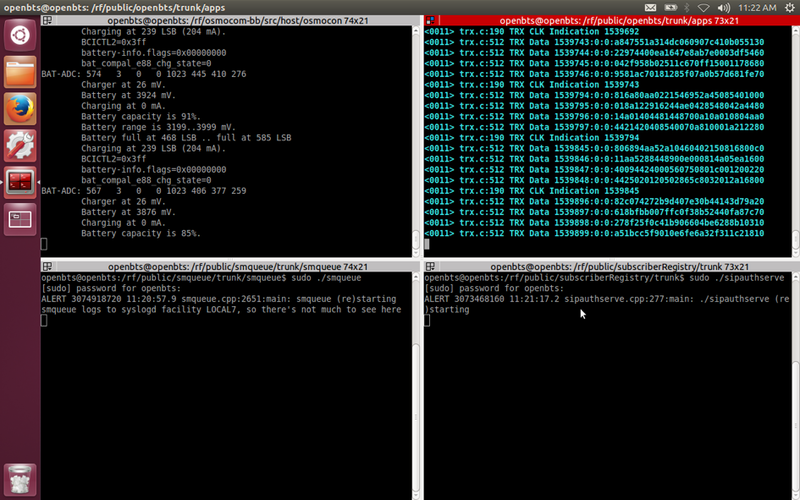 The above setup creates a fakeBTS (IMSI catcher) and works as a spoofed Mobile Network. 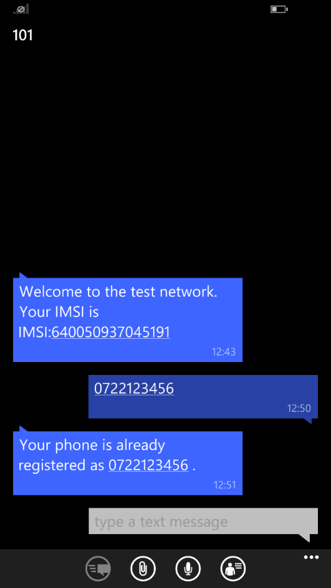 On the next setup we will work on how to send SMSs and even spoof some messages alphanumeric address and all. Hi John, kind apologies for the alternative link provided, thank you. @nyoike For running this rogue BTS is there any hardware change required to the compal e_88 mobile (in my case Motorola c123) or will this work without any hardware changes. EMERG 139761363175168 06:54:11.8 OpenBTS.cpp:156:startTransceiver: Transceiver quit with status 256. Exiting.
" when perform a manual search on your phone. ". to ensure that automatically connect to my bts? I am reading you fantastic post. 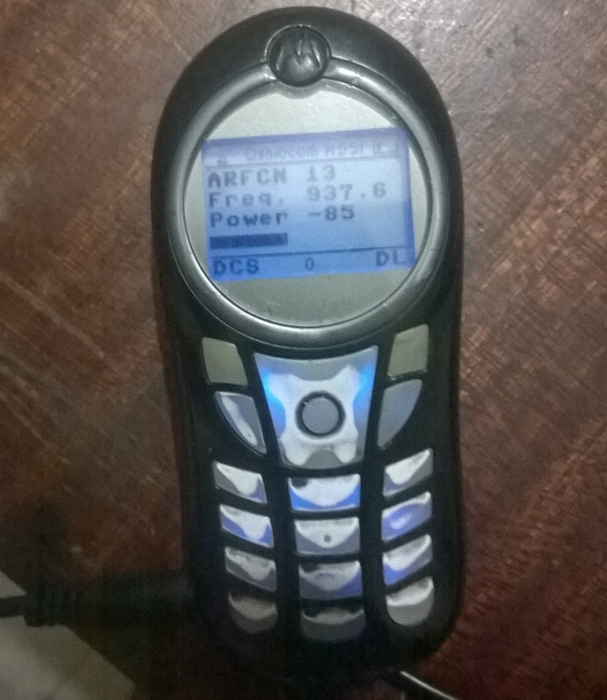 I have your typhon iso livecd that i try with motorola c123 /i have 4 c123/. Can you give more info on sniffing calls/sms with osmocom platform? Hi! It is for the phone to rewire filters? 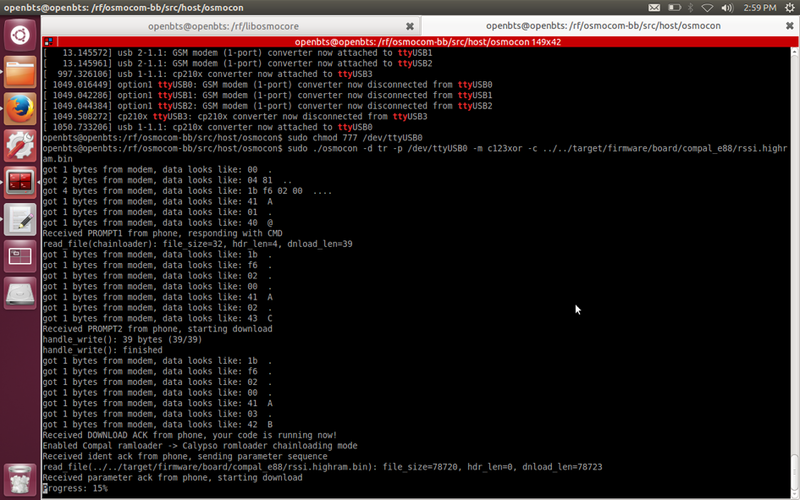 got 2 bytes from modem, data looks like: 04 81 ..
got 1 bytes from modem, data looks like: 01 . EMERG 3073948480 22:47:02.8 OpenBTS.cpp:156:startTransceiver: Transceiver quit with status 256. Exiting. Helló! How to install?? Thanks! Only Dell computer? Any hack? Thanks! But i have the problem anyway. Can u help me? Thanks.